Cufflinks There are 5 products. 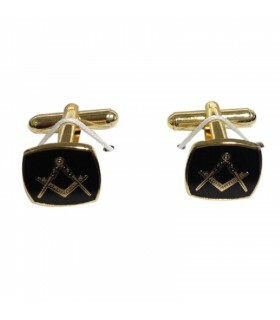 Masonic cuff with square and compass. Made of copper and enameled black and shiny gold. 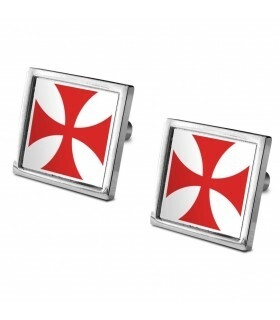 Cufflinks Templar Cross enamelled red pate. Made of copper bright gold finish. It Includes 2 twins and velvet case. 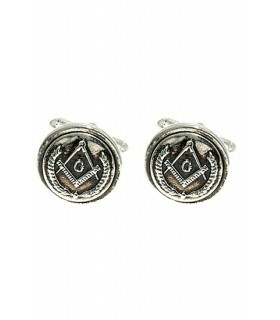 Cufflinks Masonic seal. Made of metal and silver plated. It includes partner. 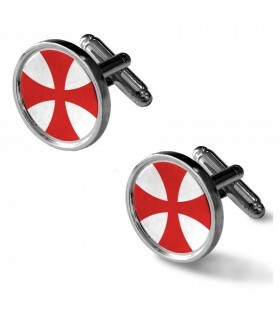 You choose the shirt and we offer these stylish Cufflinks with the Cross Pate of the knights Templar. 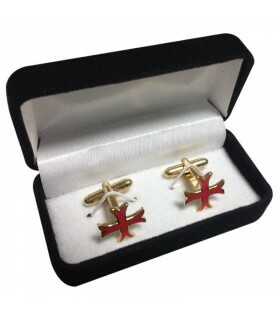 You choose the shirt and we offer these stylish Cufflinks square with the Cross Pate of the knights Templar.